it has been quite a while since I have posted any updates; I promised myself I would take some time tonight to ftp some photos to my web site and post them to my journal so that everyone could see what we’ve been up to lately! 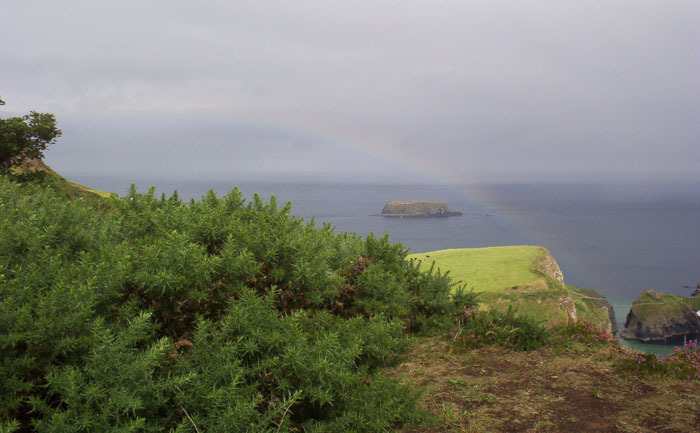 a rainbow over the coast of Ballycastle, Northern Ireland. 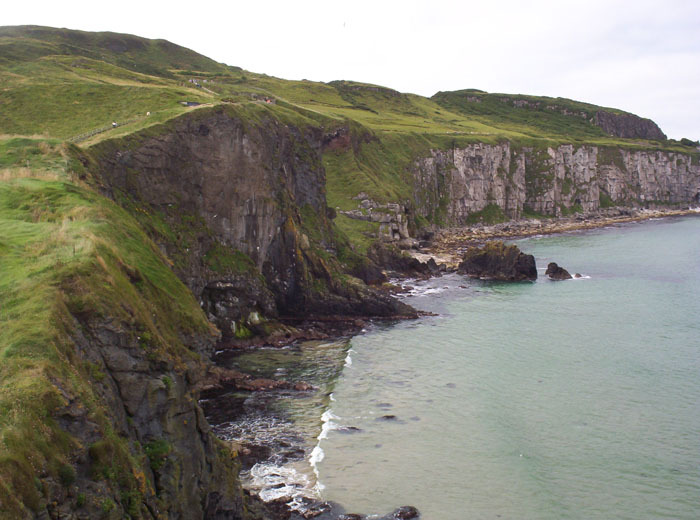 In the bottom right hand corner of the picture you can see the Carrick-a-Rede Rope Bridge. a path along the cliffs leading to the aforementioned rope bridge. Connemara. 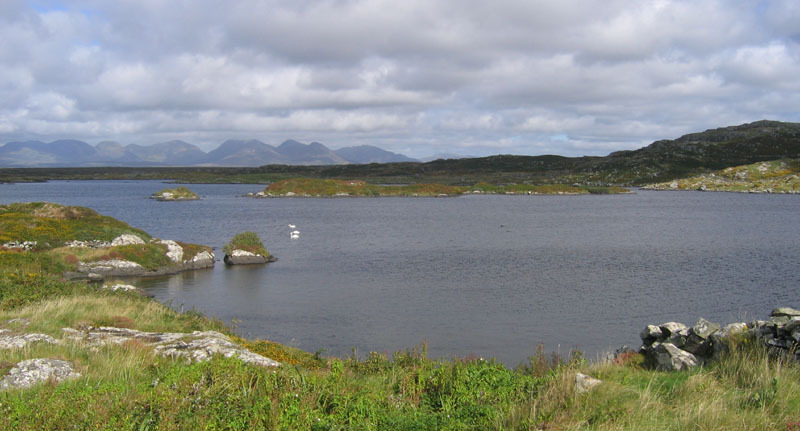 As you can see, Connemara is a very beautiful part of Ireland. I was fortunate enough to capture three swans in that photo. 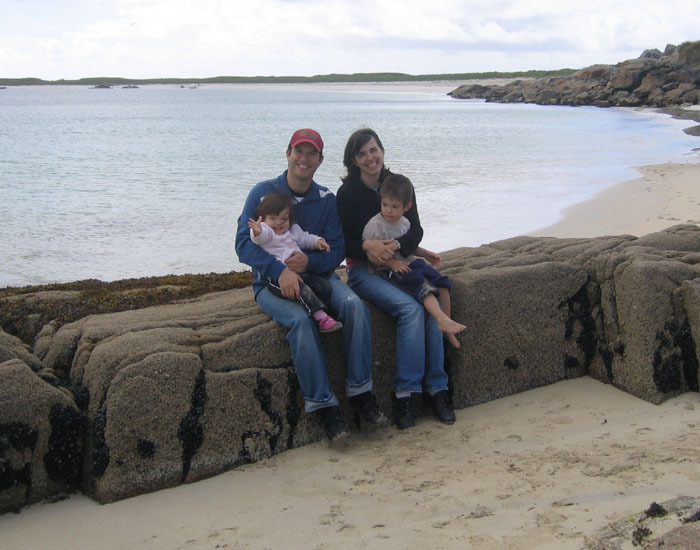 the family on a beach near Roundstone. 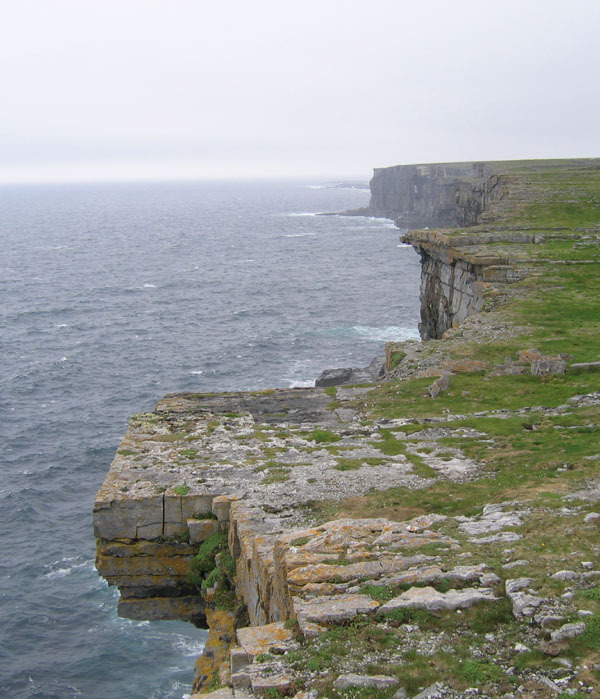 the cliffs of Inis Mór. 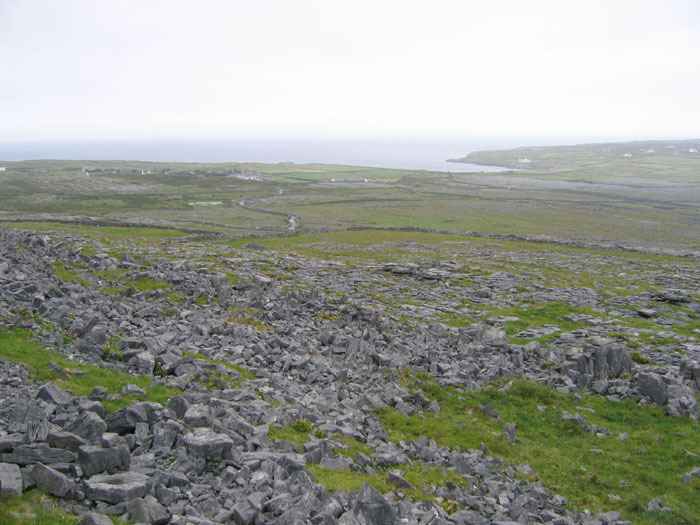 My father and I took a day trip to Inis Mór, the largest of the Aran Islands, where we went to Dún Aonghasa, a well-known fort constructed in the Iron Age several thousand years ago. The fort is basically a stone construction right on the edge of the cliff (it forms a half-circle around the cliff face which then drops into the sea). It was quite an amazing thing to experience. the chevaux-de-frise surrounding Dún Aonghasa. You can see here jagged stones placed several thousand years ago to slow potential attackers from reaching the fort (these were especially effective against those on horseback). 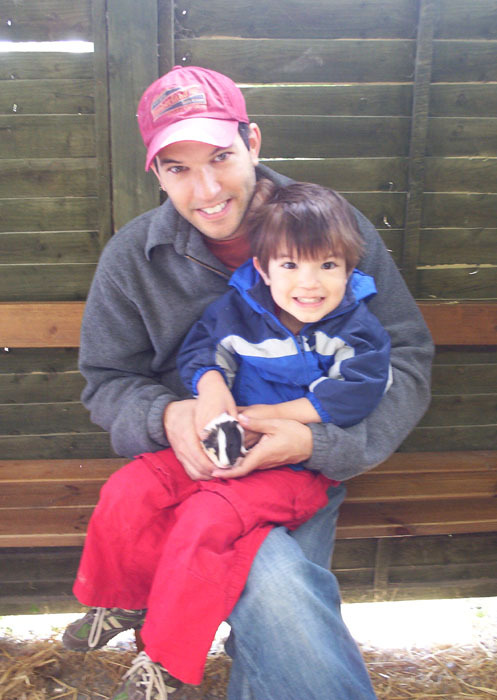 me, Callum and the guinea pig. Taken at Glenroe Open Farm in County Wicklow. 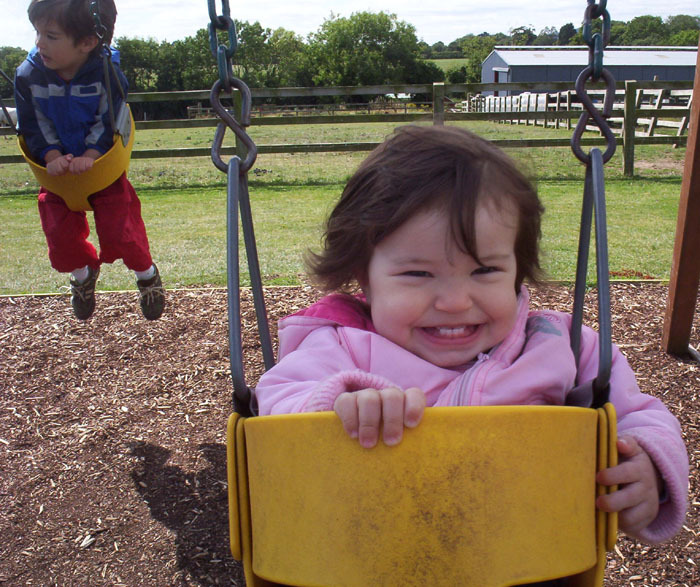 swingin’. Similarly taken at the Glenroe Open Farm, which also featured a good sized playground for children (not to mention a nice walking trail with a SECRET GARDEN). snails. Okay, if you must know, there are a ton of snails in Dublin; after a rainy day (and in Ireland most days are rainy days) tons of snails come out of the woodwork to crawl around willy nilly. At any rate, one day Callum and his minder walked up and down our street collecting as many snails as they could find; they ended up finding over 30 snails (not to mention a few slugs) which they then deposited in our front yard. 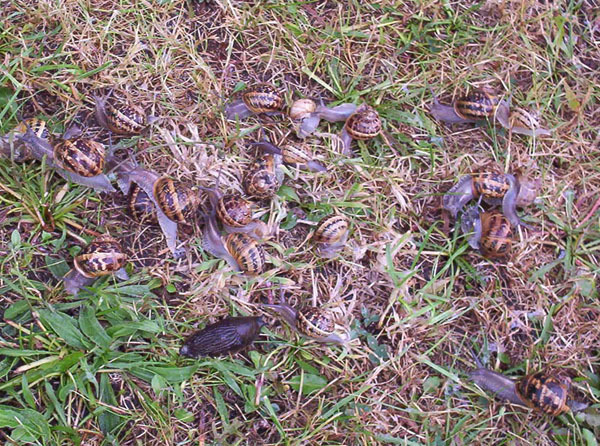 20 minutes later and the snails had all disappeared – strangely enough they all took off (relatively speaking – I suppose it was more of a meandering off than a taking off, these are snails we’re talking about here!) in the same direction. That would of course be the direction away from Callum and his minder.